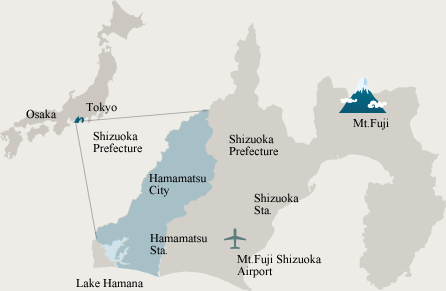 Hamamatsu, located in the center of Japan, is a City of Industry, where global corporations such as Honda, Yamaha, Suzuki, and Hamamatsu Photonics were born. It is also a City of Music, where the Hamamatsu International Piano Competition and the Shizuoka International Opera Competition are held. We invite you to Hamamatsu, a place with a mild climate and rich nature encircled by mountains, an ocean and a lake. “Let’s meet in Hamamatsu in 2017.” We are sincerely looking forward to your visit!